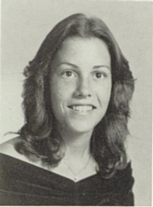 Leslie Lansing Greving has a birthday today. 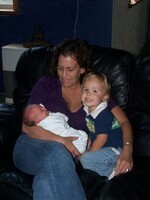 Me holding my newest grandson Lukas, and his big brother Brian; my daughter Jeane's boys. 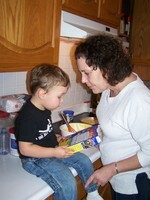 My Grandson Brian intently reading baking instructions. Taking my grandson on his first disneyland trip. Kisses for the birthday boy! Lukas' 1st birthday. My daughter Katelyn, my husband Matt, my daughter Jeane, and me.